This is Mahmoud. He’s five years old. He lived in Aleppo, Syria. He lost his arm in Aleppo, in the bombing that is a tragic part of Syria’s ongoing conflict. An arm is not all Mahmoud lost. This precious little boy is also an orphan. 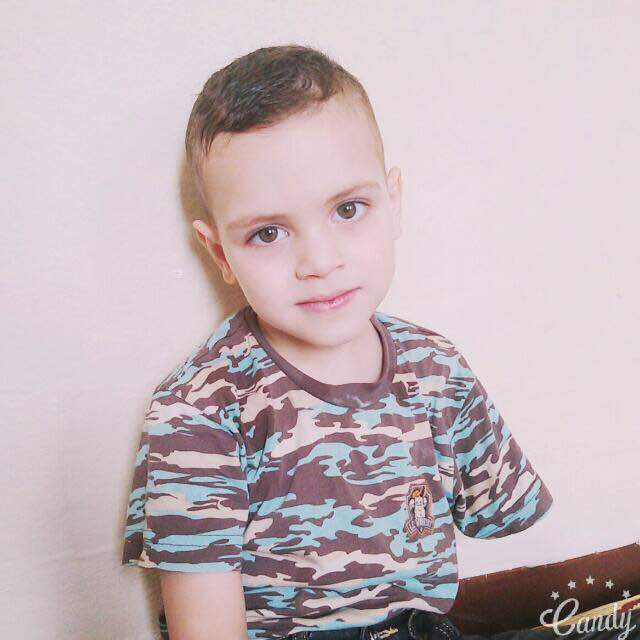 Palmyra Relief wants to give Mahmoud a reason to hope, and help him have a better childhood, by helping him get a prosthetic arm. Every pound or dollar helps. This entry was posted in Amputees, Photos, Syrian Children, Syrian Refugees and tagged Aleppo, amputations, amputees, conflict in Syria, Mahmoud, refugees on November 27, 2016 by palmyrarelief. This entry was posted in About Palmyra, Amputees, Palmyra Success Stories, Syrian Children, Syrian Refugees, Videos and tagged amputations, humanitarian aid, prosthetic leg, refugees, Syrian children, Turkey, video, war injuries in syria on February 10, 2016 by palmyrarelief. Meet Abdul Karim Sayyd. Abdul is 10 years old, and he comes from Aleppo, Syria. Abdul is a refugee from the Syrian conflict, and he lives with his parents and three siblings in Istanbul, Turkey. out to the Syrian refugee community to help identify children we can help who have lost limbs as a result of the war in Syria. Abdul Karim’s father used to run a wome n’s handbag shop in Aleppo, but life became difficult as the conflict escalated. Abdul and his siblings stopped going to school. While still in Aleppo, a rocket landed on the neighbour’s wall, bordering Abdul Karim’s house. Abdul Karim, his mother and siblings, all outdoor in the courtyard, were hit by shrapnel from the bomb. Abdul Karim had the most serious injury, and his right knee was shattered by shrapnel. The main hospital in Aleppo — Kindi Hospital – has been totally destroyed. There are no good treatment facilities in Syrian war zones, and the only way to save Abdul Karim’s life was to amputate his leg. The family arrived in Istanbul at the end of October of 2015. Abdul Karim’s father and his oldest brother, age 12, work in a factory. The rest of the family is at home. Abdul Karim and his other two siblings can’t attend school. Life in Istanbul is difficult for Syrian refugees like Abdul, and most children are unable to attend school. Many children end up working alongside adults in factories for meager pay. The family is hoping to emigrate to join family who live in Austria at some point in the future. That plan, however, is still in its early stages, and they face many obstacles. Right now, their greatest concern is getting treatment and support for Abdul Karim, as medical care in Turkey is private, and impossible for them to afford. Adbul Karim’s initial treatment and prosthesis were handled by a Turkish charity that is no longer in a position to assist him and his family. In November of 2015, Palmyra Relief trustees met with Abdul Karim and his family at our partner organization, Reha Healthcare, in Istanbul. Prosthetist Dr. Zeki Çulcu confirmed that the prosthetic leg Abdul Karim had been using was broken in numerous places, including the knee and ankle mechanisms. Dr Çulcu recommended at minimum that the prosthesis needed to be repaired, with a plan to exchange it for a new one in a couple of years as Abdul Karim grows. Reha’s quote for repairs was €1,350 Euro – around $1,500 US, £1,040 UK. This included a 30-month guarantee, and free adjustments. Palmyra Relief trustees also met with the Turkish office of Ottobock – a German-based prosthetic manufacturer — for a second opinion. The orthopedic expert from Ottobock felt that the broken prosthetic was unsafe, and recommended a new prosthetic leg for Abdul Karim. The preliminary estimate of cost for that new leg is €7,250 Euro – around $8,091 US, £5,579 UK. This would come with a two-year guarantee, and all necessary adjustments. Palmyra Relief also consulted with several other companies regarding repair of the prosthesis to get estimates – all of which exceeded Reha’s cost. Palmyra Relief made the decision to have Abdul Karim’s prosthetic leg repaired by Reha, with a plan to purchase a new one in two years, as he gets to a point when children typically undergo a growth spurt. Reha made the repairs to Abdul Karim’s prosthetic leg, and Abdul Karim is now back on his feet, walking well, and able to rely on his newly repaired prosthetic leg! Please help us help children like Abdul Karim get the prosthetic arms and legs that help them get back to as normal, healthy, and happy a life as possible. This entry was posted in About Palmyra, Amputees, Humanitarian Aid to Syria, Other Issues, Palmyra Success Stories, Photos, Syrian Children, Syrian Refugees, Videos and tagged amputations, conflict in Syria, humanitarian aid, impact on children, photos, refugees, success stories, Syrian children, war injuries in syria on February 10, 2016 by palmyrarelief. 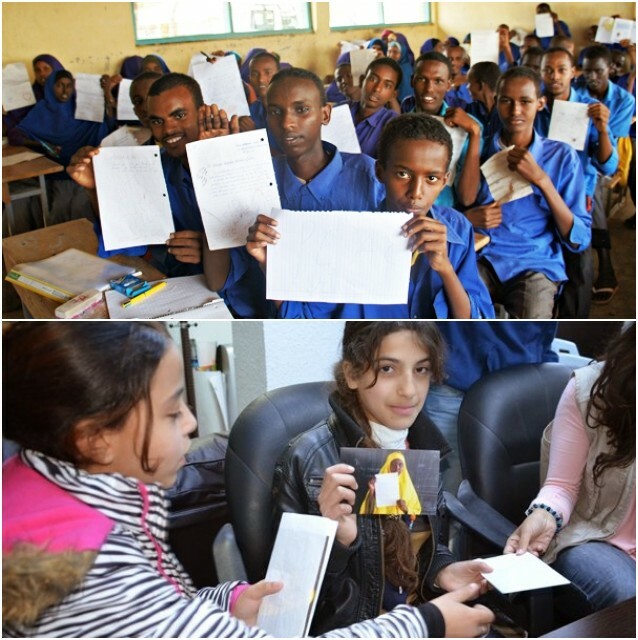 Young Somali Children living in a Refugee camp in Kenya write letters of hope to refugee children in Syria. “Be the stars and the new presidents,” said one young Somali boy in his letter. They offer encouragement, advice, and urge them to do everything they can to get an education and keep learning. Read the article and their letters here. 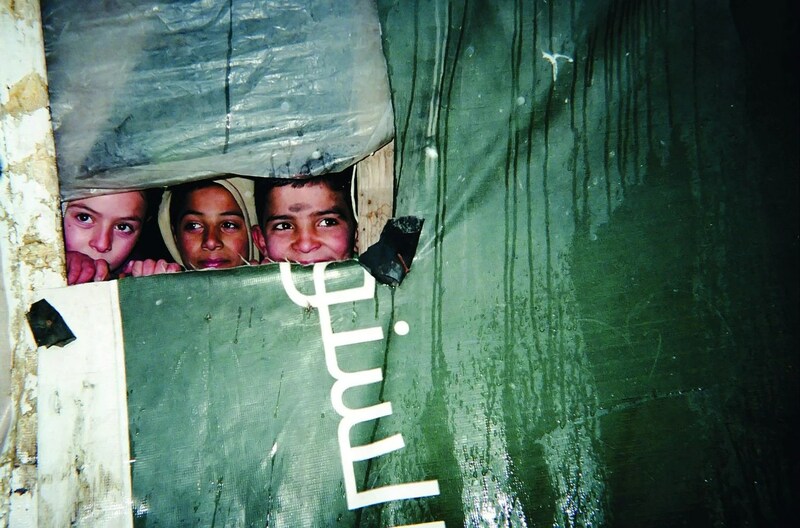 This entry was posted in Other Issues, Photos, Refugee Crisis - Syria, Syrian Children, Syrian Refugees and tagged impact on children, refugee camp, refugees, Somali Refugees, Syrian children on August 23, 2014 by palmyrarelief. 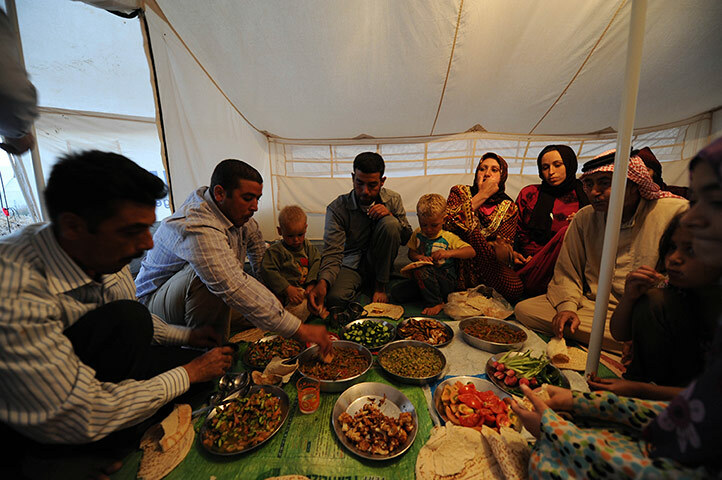 During the month of Ramadan, the Saudi government will provide meals to the Syrian refugees in Jordan in an effort to aid the suffering of them. 150,000 dry meals will be distributed throughout the month. In addition to that, the Saudi National Campaign is giving enough rent for 1,000 Syrian refugee families in Lebanon. Read the full story here. This entry was posted in Humanitarian Aid to Syria, News Coverage of Syria, Refugee Crisis - Syria, Syrian Refugees and tagged conflict in Syria, humanitarian aid, refugee camp, refugees on August 23, 2014 by palmyrarelief.